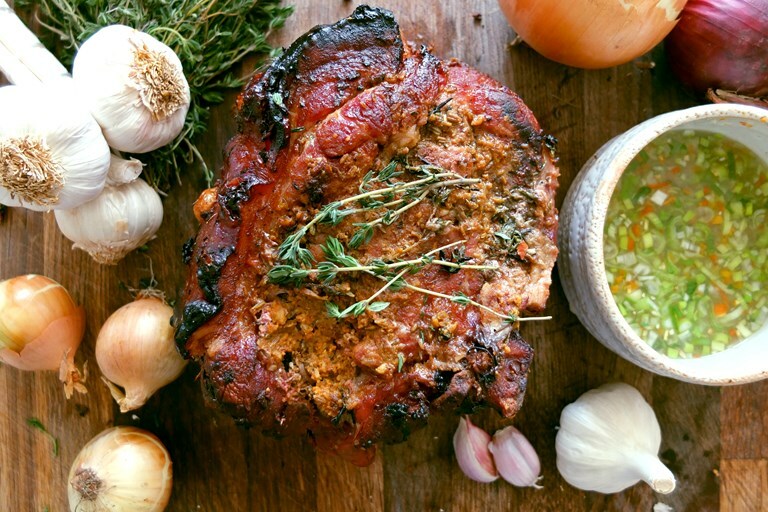 Helen Graves' Mexican roast pork recipe gives a traditional Sunday roast a spicy, vibrant, Mexican twist. Heat from scotch bonnet chillies and the fragrance of zesty grapefruit add some warmth to this hearty recipe. 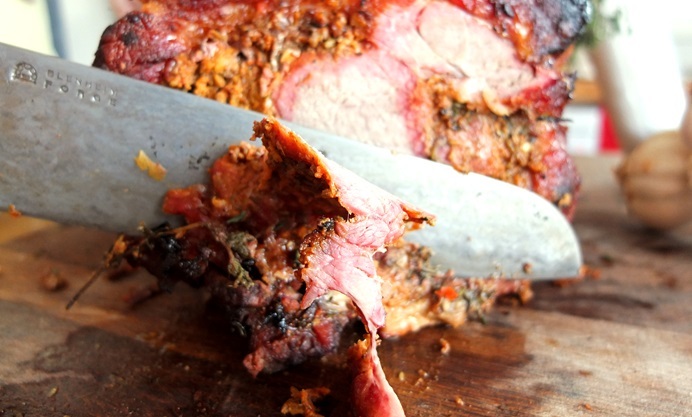 This is slow roast pork with Mexican vibes. 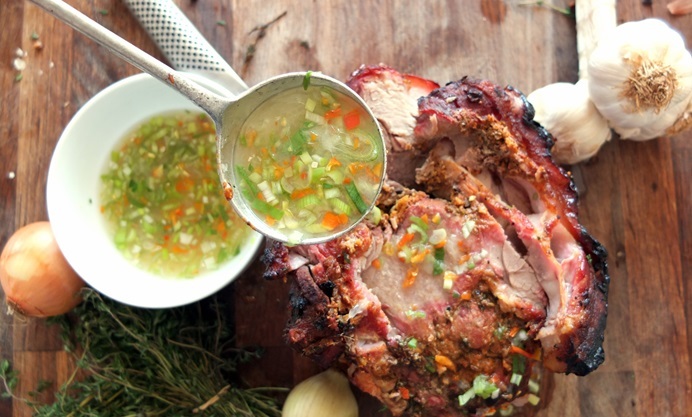 The pork is smothered in a paste with grapefruit zest, then cooked in the oven with the grapefruit juice, scotch bonnet chilli and onions, bubbling down to a spicy gravy. The chilli in the drizzle is mellowed by the citrus juice, which also adds important acidity to the finished dish. If you’d rather leave out the chilli however, just use the spring onions instead.